We're on a mission to provide you with the high-quality portraits you expect from Kelly Stachura Photography at special recital-time prices. Our Spring Recital Portrait Sessions are unique because they are created by dancers for dancers - so you know you'll be getting not only beautiful images but true dance portraits that reflect all of your son's or daughter's hard work over the past year. Our Recital Portrait Sessions give you the most bang for your buck - by registering for a Spring Recital Portrait Session, you'll save up to 90% off the cost of a private Individual Portrait Session. 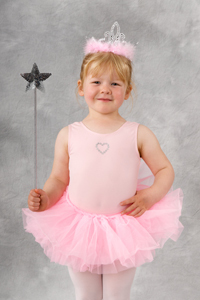 Register for your Spring Recital Portrait Session in the office at your dance studio. At some studios, you'll be able to select a time for your portrait session from the list of open appointments so that you won't have to wait in line on portrait day. Please visit the Q&A section of this website for more information about what you can expect from your Spring Recital Portrait Session and answers to frequently asked questions. Thank you for visiting our website, and we look forward to working with you soon!